Supreme Air provides Air Conditioning, Heating and Plumbing Services, Repair, Installation, Maintenance, and Tune Up in Clarksville, MD and surrounding areas. Just a great company to work with- professional and highly competent. Chris, one of the technicians, is the best. Thank you Mr. Brewster, we think you're great to work with too! We also couldn't agree more, Chris is a true professional and highly competent. We're looking forward to our next visit for your HVAC or plumbing needs. Have a supreme day! Nickel and dime for service charge. Fee for estimates. Leak search and repair and charge unit with 8+lbs of r410a refrigerant. I fixed the leak on the suction line near the service valve. I installed a new filter drier, flushed system with dry nitrogen after pressure testing. Pulled into a sub 500 micron vacuum. Charged the system with 9lb 8oz of refrigerant, 15oz more than factory charge to compensate for long lineset length. Went to test the unit and the compressor runs but does not pump the refrigerant. 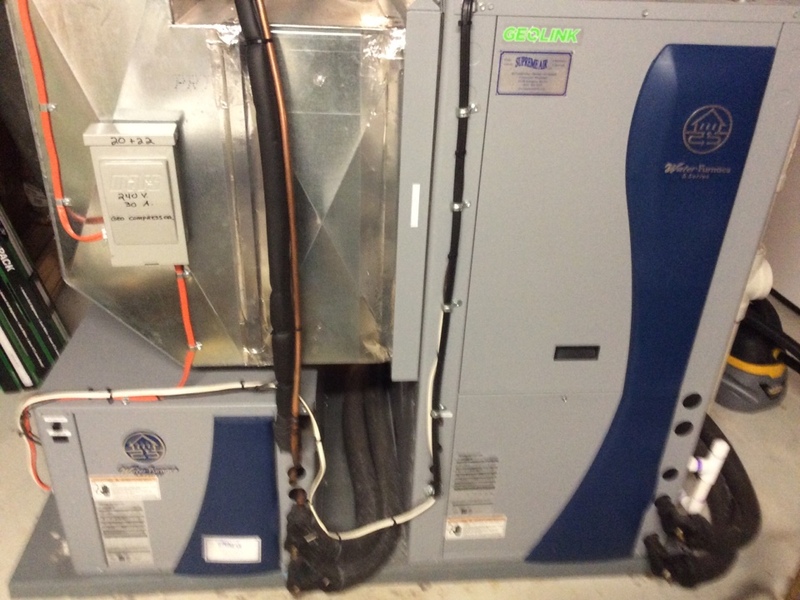 The compressor had to have been damaged while operating with loss of charge or low charge. I tested several times and each time is the same. No difference in high and low pressure, the compressor has a grinding noise as well. There was no way to test the compressor with the system being flat on refrigerant. I completed a part order form for the compressor. The office will need to contact the customer for scheduling as soon as possible. Replace voltage absorption system. I replaced the voltage absorption system for the Lennox outdoor unit: M#: XP16-024-230-08 S#: 5814C03323 I tested the unit after making this repair and it is operating normal. I retained the original dual run cap to return to Lennox and recorded capacitance values for warranty verification. Fall pm on 03/01/19 On arrival set units to call for heat measured supply and return air temp measured voltage and amps inspected electrical connections checked water pressure is good checked drain and cleaned checked filters and replaced I found a lot of dust in the unit recommended unit need UV lights installation. Unit tested unit operating normal at this time. I operated the unit on 2nd stage heating mode. Heat of extraction at 36,600 btu/hr which is more than the data sheet shows for this unit. Temperature rise at 30 degrees. I checked the electrical wiring and electrical systems, all are within specification. The filter does not need to be replaced yet. I secured some geo piping insulation that was coming loose with zip ties. Unit operating normal. 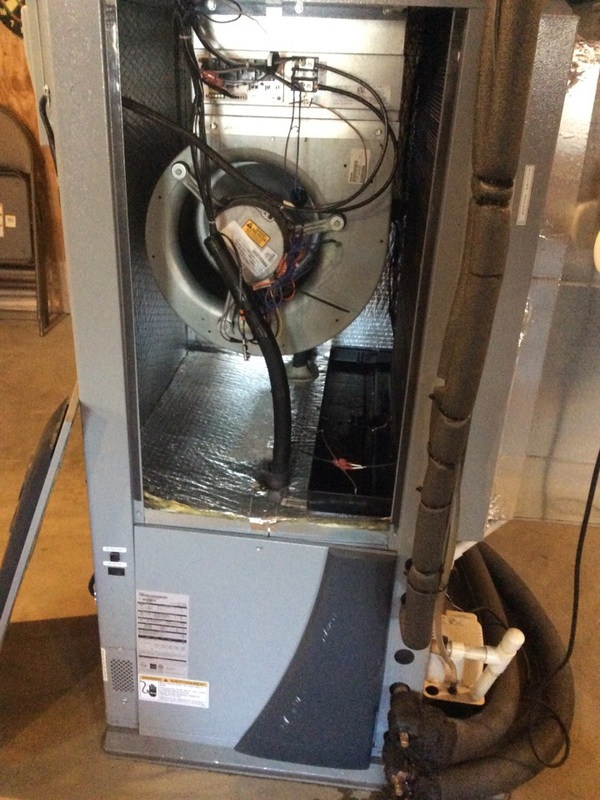 On arrival found indoor unit operating ok but outdoor on the compressor is operating .found bad outdoor fan motor .unit is not operating normal ,need to replace motor . On arrival found new system locked out on fp1, unit was not coming. Unit had to be rewired. Flow center pump was rewired and system is operating correctly. Custom paid the remaining balance with a check. Fall pm on 01/23/18 On arrival set units to call for heat measured supply and return air temp measured voltage and amps inspected electrical connections checked drain and cleaned checked filters and replaced found EWP and LWP low I pump it to EWP to 60psi LWP 55psi unit operating normal at this time. Customer replaces the filters themselves. I operated the units on auxiliary heat. Only 1 of 3 elements was coming on on Unit #1. I found a wiring issue on the second contactor which was resolved by moving one wire so that all 15 KW is operable. I set the flow rates on both units. Temperature rise is normal for both units so the blower speeds were correct. I checked the electrical wiring and electrical systems, all are within specification. I pressurized the ground loop to 65 psi. Both units are operating normal. Customer should consider installing an Intellistart Module in the 5 Series unit. It is a start assist for the compressor which protects the compressor from failure caused by shorted out windings. I will send an estimate. Upon arrival I found furnace running but intake cut at top of furnace. Spoke with office and they informed me that this is the only way furnace is running at the moment. Found 2.5 inch pipe not connected at concentric exhaust kit. Removed piping, removed end cap, primed and glued pipe into kit, then connected end cap to kit for fresh air intake/exhaust. Went to furnace and installed 3inch coupling on intake at furnace. During repair I found (2) 3 inch 90s were leaking above furnace. Had to replace both 90s and another section of 3inch pipe for flue repair. Onced repaired I checked exhaust pressure with manometer, measured heat rise of furnace, and checked overall performance of unit. Unit operating normal at this time. Nobody home, new construction, left thermostat at 62.